Luftozean Logistics specializes in Heavy Lift Transportation. Heavy and over-dimensional cargoes require special attention and care. This is because infrastructure and regulations are meant for ordinary cargos, not extra-ordinary ones. Mapping the route, clearing the way and getting the job done is a speciality of ours, all the way upto the final site. Our company has gained name and fame in providing Heavy Transportation Services to the clients. This service is rendered on time as per the mutual consent. This transportation service is hugely popular for flexibility and timely execution. This service is provided by experienced professionals so as to cater the every logistic need of valuable customers within the assured time. Backed by highly accomplished personnel in this arena, we are offering Heavy Goods Transportation Service. A team of dexterous personnel works in close coordination with our patrons to impart these services as per their needs. Provided services are largely valued amid our patrons for their on-time execution. Our company is a master in providing Heavy Machinery Transport Services. We are involved in providing HeavyMachinery Transportation Service. 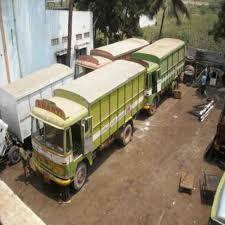 Being an eminent company, we are involved in rendering Heavy Truck Transport Services. Price Range : Rs 900 to 13000 Ton.